Since the adoption of Christianity in Russia, the people celebrated New Year in March or at Eastertide. In 1492, the Grand Duke of Moscow - Ivan III approved a resolution to consider 1st September as the beginning of New Year. In 1699, the Emperor of Russia, Peter I or Peter The Great changed the date of the celebration of the New Year from 1st September to 1st January. It was easy to absorb new traditions, as Slavic people had another holiday ‘Svyatki’ around this time of the year. 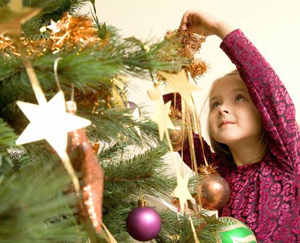 Most of the Christmas time rituals and traditions continued in the celebrations of the New Year. 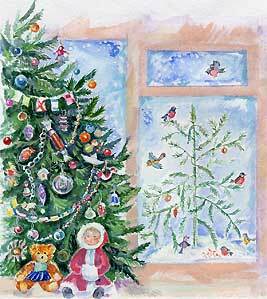 Today, New Year is celebrated in Russia by the whole family by decorating fir trees, gifting each other and enjoying a feast together. 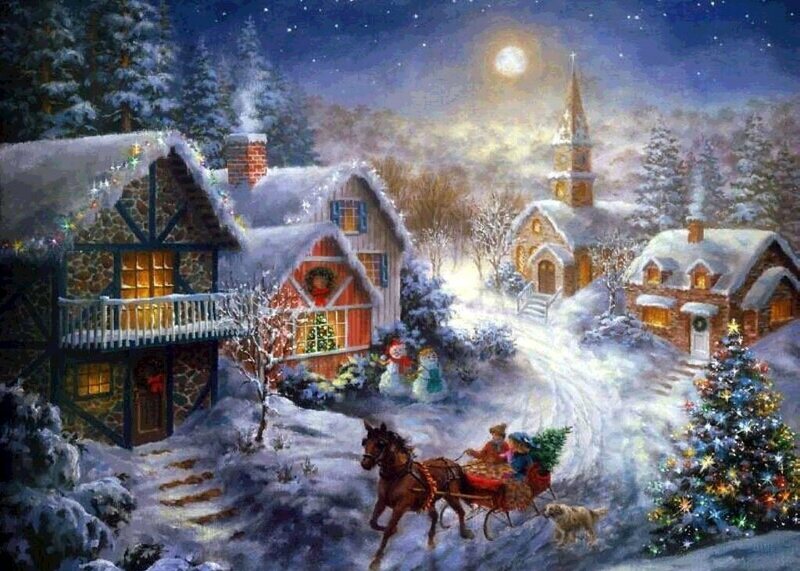 Christmas is observed, on 7 January, as a public holiday according to the Julian calendar used by the Russian Orthodox Church. In early 20th century, the church had not switched to the new Gregorian calendar and hence there is a difference of 13 days from the calendar used by Christians in other parts of the world. 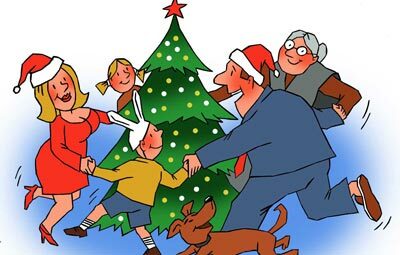 In the Soviet Union, New Year became the most important holiday for Russians in place of Christmas and most of the Christmas traditions were adopted as part of the secular New Year celebrations. 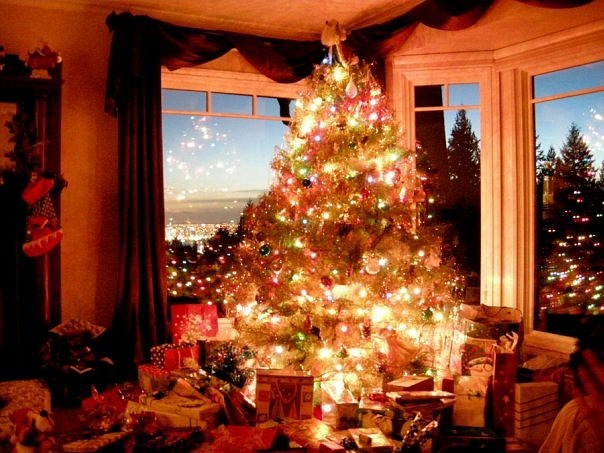 However, in recent times more and more people in Russia have started understanding the religious meaning of Christmas and celebrate by attending Church, decorating a Christmas tree, etc. Two weeks after the New Year celebrations, the Old New Year according to the Julian calendar is celebrated on the night of January 13. The Old New Year is a rare historical phenomenon and an extra holiday which came into existence due to a change in era. 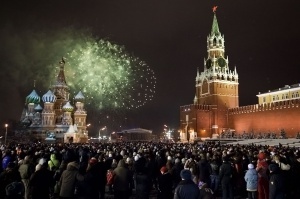 The tradition to celebrate the Old New Year came after 1918 when Russia introduced a new calendar. On January 25th 1755 Empress Elizabeth of Russia endorsed Mikhail Lomonosov’s initiative to establish a university in Moscow and signed a corresponding decree. January 25th was the name day of all Tatianas, named after Saint Tatiana, a Christian martyr in 3rd century Rome. Since then the Russian Orthodox Church declared Saint Tatiana the patron saint of students and Tatiana Day is celebrated as Russian Students Day. Valentine’s Day is a time when people show feelings of love, affection and friendship. In Russia Valentine’s Day has become popular after the collapse of USSR and is being celebrated only since the early 90s but quickly and firmly caught on, especially among the younger generation. Women’s Day was first celebrated in Russia before the First World War in 1913. During the Soviet period, Women’s Day was officially celebrated in order to distract people from religious festivals taking place around the same time - Maslenitsa and Day of the Myrrh bearers. In 1975, Soviet ideologists could assign Women's Day the status of ‘International’ - the United Nations has recognized March 8 as an official holiday for all women. 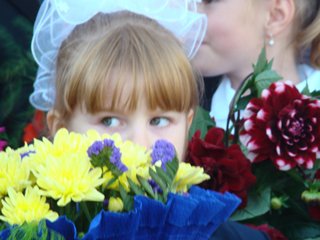 In modern Russia, March 8 celebration includes an established ritual of giving flowers and gifts to women. One day, the residents of St. Petersburg were woken from their sleep to the sound of fire alarms going off. It was April 1 and the anxiety caused by this was comic. Since then in April Fools jokes have found a place in Russia. It is also known that during the reign of Peter I, a troupe of German actors fooled the audience as well as the Emperor himself who had come to watch the play by placing a banner on stage with the words ‘ April Fools’. Peter I did not get angry and left the theatre saying ‘Freedom of Comedians’. 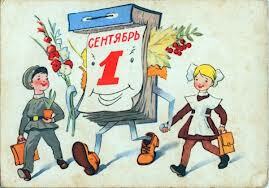 In the former Soviet Union, 1 May was celebrated as International Workers' Day and was called the holiday of 1st May. 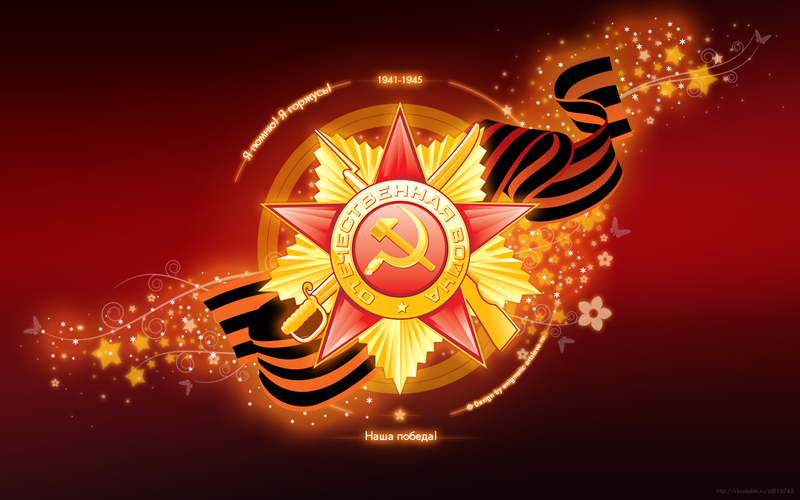 The Russian federation celebrates 1 May as Labour Day. 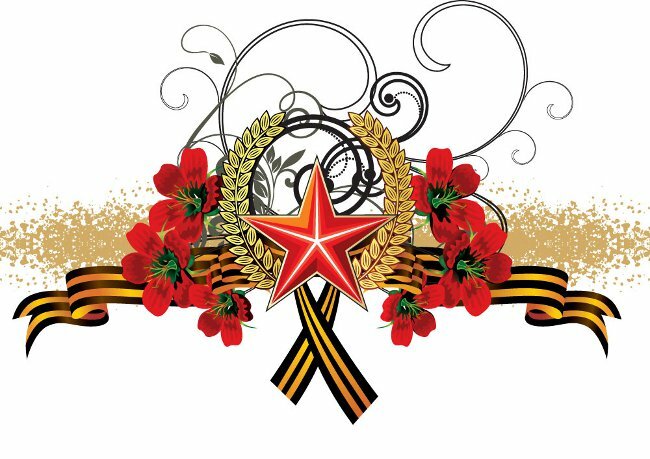 Irrespective of how it is called, for most Russians May 1 symbolizes rebirth and the onset of spring. 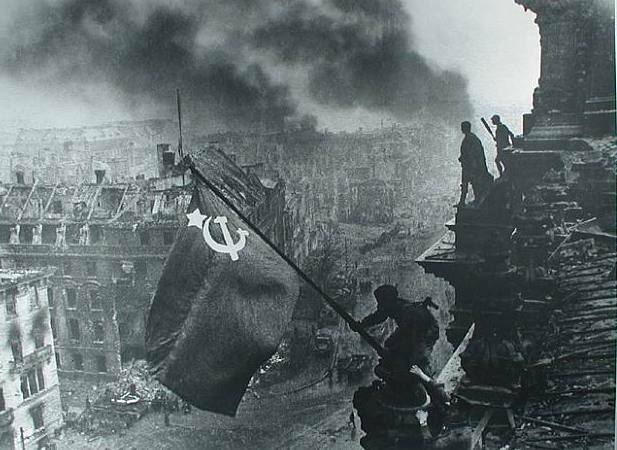 On May 9, Russia celebrates the victory of the people of the Soviet Union over Nazi Germany in the Great Patriotic War of 1941-1945. 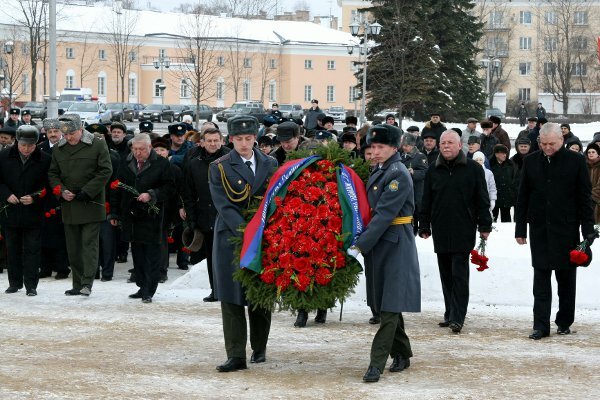 On this Day, Russians pay pays tribute to survivors and veterans of the war while remembering those who died in order to achieve it. It is by far one of the biggest Russian holidays and also the most solemn one. 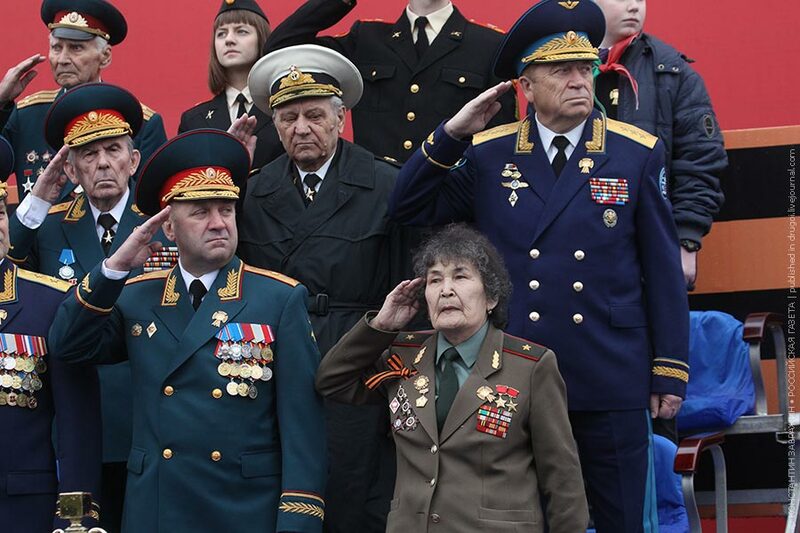 In all Russian cities, parades and festive processions of old-time veterans wearing military uniform with medals are organized. 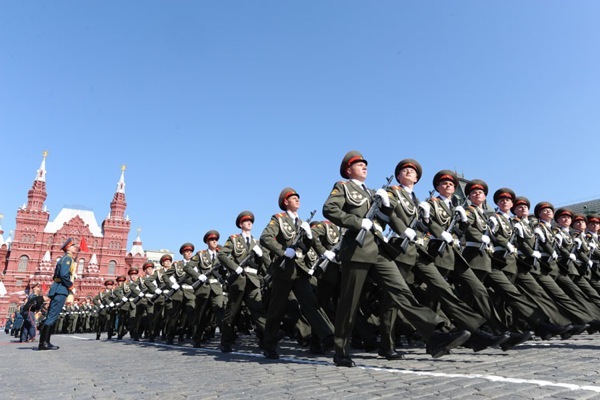 A huge military parade, hosted by the President of the Russian Federation, is annually organized in Moscow on Red Square. Unfortunately, in many former Soviet republics and the few Eastern Bloc countries a deliberate attempt is being made to falsify history; to demean and even demonize the heroism of the Soviet soldiers who liberated the world from fascism. International Day for Protection of Children or International Children's Day is said to have been established by the Women's International Democratic Federation on its November 1949 congress in Paris.Children's Day is observed as a day to mobilize world public opinion for the protection of children from the threat of war; for the preservation of the health of children; for the implementation of education and training in a democratic manner. On this day, the activists for rights of children come together to draw the attention of the public and the world in general to the issue of abortion. 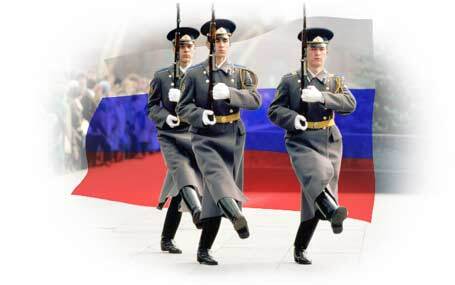 Russia Day or Russia’s Independence Day as the holiday was called till 2002 is one of the newest holidays in Russia. In 1994 the first Russian President Boris Yeltsin signed a decree declaring 12th June as the Day of the Declaration of State Sovereignty of the Russian Federation. Today Russia Day is observed as a holiday of freedom and peaceful coexistence of all people on the basis of law and justice. Russia Day is a symbol of national unity and shared responsibility for the present and future of the country. 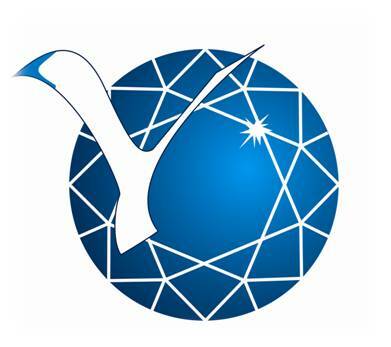 Officially, Knowledge Day was established by the Supreme Soviet of the USSR on 1st September 1984. This day is celebrated by school and college students, as they begin a new academic year. It has special significance for the incoming class of first graders who come to school for the first time and often participate in a celebratory assembly on this date. The day also involves the First Bell where the first graders are paraded around ringing the bell of the school and their identity cards are handed out to them. In recent times, 1st September is celebrated by all students in a big way with parties in café, discotheques etc. 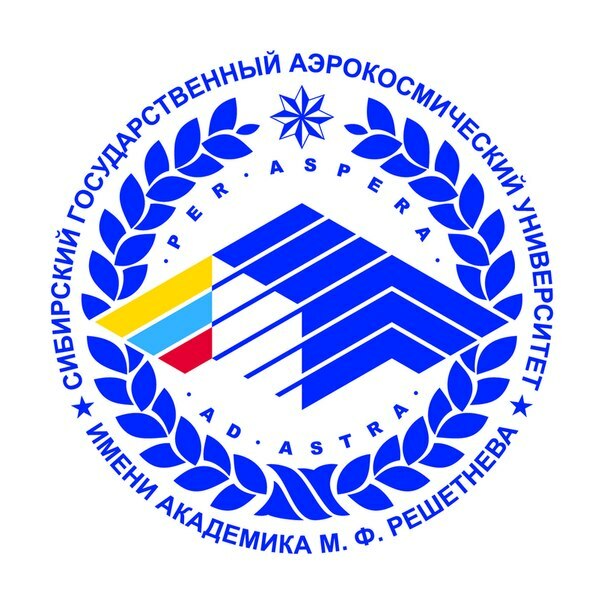 UNESCO adopted the Teacher's Day only in 1994, but Russia has been observing Teacher’s Day since 1965 and the teachers were wished on the first Sunday of every October. 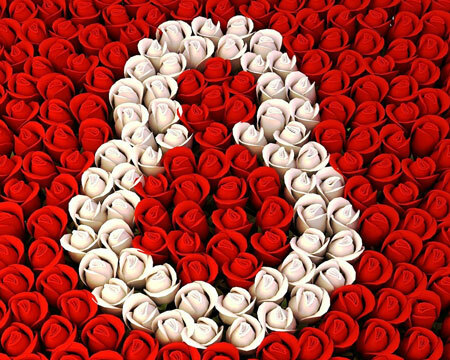 Today, in accordance to the presidential decree of October 3, 1994 Teacher's Day is celebrated every year on October 5. On Teacher’s Day, students greet the teachers, give them flowers, chocolates and gifts, organize concerts and paint colorful banners. November 4 - the feast day of the Russian Orthodox icon of Our Lady of Kazan- is celebrated as the ‘Day of National Unity’ since 2005. It commemorates the popular uprising under the leadership of Kuzma Minin and Prince Dmitry Pozharsky to expel Polish occupation forces from Moscow in November 1612. Historically, this festival is associated with the end of the Time of Troubles in Russia in the XVII century. 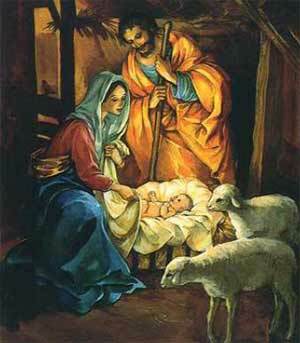 The holiday was established by the Federal Law signed in December 2004 by Russian President Vladimir Putin. One of the revisions was to change the date of the public holiday from November 7 to November 4. November 17 was declared as International Students’ Day at the World Congress of students held in Prague in memory of Czech student-patriots on November 17, 1946. The date commemorates the anniversary of the 1939 Nazi storming of the University of Prague and the execution of nine student leaders. Over a thousand students were sent to concentration camps and all universities and colleges were closed. 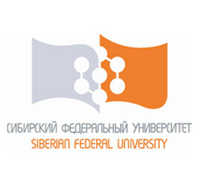 Currently Student Day is a symbolic union of all faculties and all educational institutions. Mother's Day is a celebration honoring mothers and motherhood, maternal bonds, and the influence of mothers in society. In accordance with the Decree of the President of Russia, Boris Yeltsin, dated January 30, 1998, the last Sunday in November is celebrated as Mother’s Day in Russia. The purpose of this holiday is to support the tradition of respect for women, secure family foundations and to accentuate the role of the most important person in everyone’s life. Russia’s Constitution Day is a celebration of the adoption of the Constitution of the Russian Federation by referendum on December 12, 1993, after the historical collapse of the Soviet Union in 1990. On December 12, 1993 Russians approved by referendum the new Constitution of the Russian Federation. Constitution Day is perhaps one of the most important dates for all Russians. The Constitution is the core of the legal system in Russia and defines the meaning and content of the law. Till recently, December 12 was public holiday. However, on December 24, 2004 the State Duma adopted amendments to the Labor Code with changes to the holiday calendar of Russia and the public holiday on Constitution Day was abolished.